Every year we brace ourselves for a medley of pets – dogs particularly – that have been over indulgent or downright mischievous over Christmas and suffer the consequences! All of a sudden they are surrounded by seasonal hazards! It’s a time when irresistible smells and dangerously available food and treats tempt our furry friends more than ever. 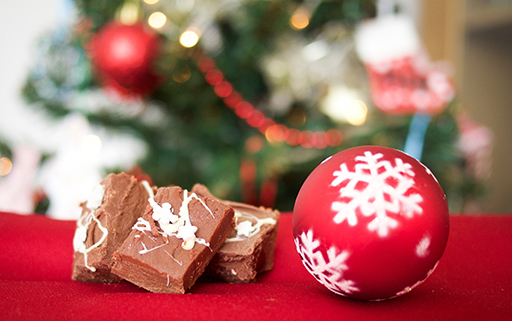 Snacks are more frequently left on low lying tables, chocolate decorations dangle temptingly off Christmas tree branches and packages of sweet smelling goodies are disguised and placed under the tree! There are toxic foods, hazardous plants and unusual dangers at every turn and in easy access! To avoid having to make an unwelcome trip to the emergency vet this Christmas, here are some tips on what to be most vigilant about to ensure your pets remain safe and sound this festive season! Chocolate – we love it, but chocolate – especially dark chocolate – is dangerous to our pets and should be avoided at all costs. It contains caffeine and a chemical called Theobromine which is toxic to dogs and cats. Even small amounts can cause heart problems and convulsions so look out for symptoms like vomiting, diarrhoea and rapid breathing. If you think your pet has eaten chocolate please contact us so that we can check and treat your pet appropriately. 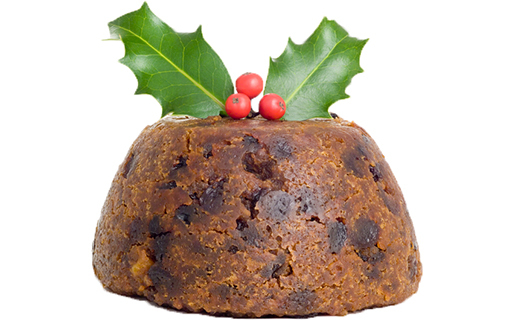 Christmas Cake, Christmas pudding and Mince Pies all contain dried fruit – raisins, currants and sultanas – which can be poisonous to dogs and cats. If they’ve even eaten a small amount and are showing symptoms, they should be bought in straight away for induced vomiting and/or hospitalisation and fluids. Chocolate coated raisins are obviously a double ‘no’! Onions – All of the onion family – shallots, leaks, garlic and chives – should not eaten by our pets cooked or raw as they may cause vomiting, diarrhoea and in severe cases dangerous anaemia. Mouldy Food and Left overs – The toxin produced in mouldy food can attack the nervous system and cause seizure. Always prevent pets from scavenging in bins and don’t give them left overs – they may contain toxic ingredients, mouldy foods or bones which can all cause potentially dangerous problems. Christmas Plants – poinsettia plants, lilies, holly, ivy and mistletoe – leaves and berries – are all a little toxic to pets so do try to keep them out of reach. Lilies – including the stem, leaves, petals, stamens and pollen – are particularly dangerous for cats and should be kept well away from them. Always sweep up your Christmas tree pine needles as they can be an irritant or injure soft paws. 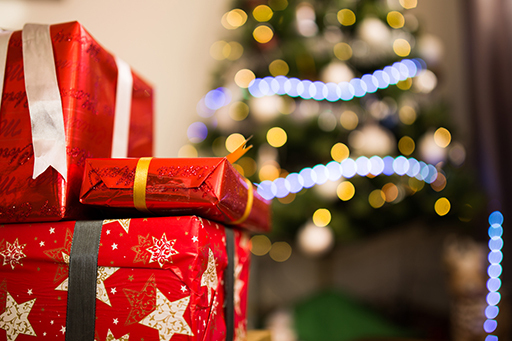 Toys, Wrappers, and Christmas decorations – packaging, tinsel, broke baubles, tree lights and candles etc can all become hazards to our pets risking a variety of injury from choking to electric shock to injured paws. Keep potential hazards out of reach and always clear up carefully. Antifreeze – And a reminder, it might be cold out there but antifreeze is highly toxic and even a small amount can cause pain, kidney failure and can be fatal to an animal. It should be kept away from cats and dogs as its very tempting and sweet tasting. Leaks or spillage should be cleaned straight away and washed down carefully. Symptoms include vomiting, unusual lethargy, breathing difficulties or seizures. If you’re at all worried that your cat or dog may be suffering from poisoning or other condition please don’t hesitate to call us. There will always be someone trained at the hospital 24 hours a day, seven days a week. Including at Christmas and New Year!